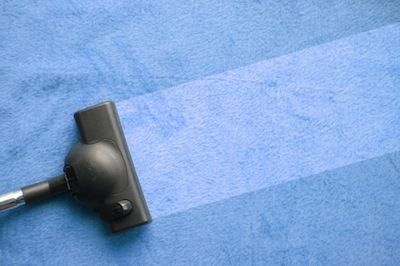 When you’re in search of carpet cleaning in NJ, look no further than Best Way Carpet and Tile Cleaning. We work hard to provide our customers a selection of services necessary to keeping your home or business in fantastic shape. When you work with the team at Best Way Carpet and Tile Cleaning, you can ensure that your home or business will be ready for visitors in no time. At Best Way Carpet and Tile Cleaning, we are proud to be a family owned and operated service providing our customers with the quality services you’re looking for. Bringing over 25 years of service to the table, the team at Best Way Carpet and Tile Cleaning will give home and business owners the confidence you’re looking for in your carpet cleaning company. When you choose Best Way Carpet and Tile Cleaning for your routine carpet cleaning in NJ, you can be sure that you’re working with a team that is dedicated to providing the best in quality and customer service. Our professional, reliable and trained technicians will work with you to achieve and maintain a clean and professional look at your home or business. Upholstery often is made from fibers and woven fabrics that can result in a more difficult cleaning process. At Best Way Carpet and Tile Cleaning, our technicians are trained to assess any stain and determine the proper method for removal. Our professionals can help you remove the stain and avoid furniture replacement. Looking to restore your floors to their original shine? The team at your tile and carpet cleaning service in NJ can help. Choose Best Way Carpet and Tile Cleaning to take advantage of our floor stripping and waxing services and give your business a clean and professional look. In addition to scheduled cleaning services, we are also able to assist our customers immediately when your home or business is suffering from water damage. Turn to the team at Best Way Carpet and Tile Cleaning for assistance with water extraction, carpet removal, carpet drying, carpet cleaning, upholstery cleaning, dehumidifiers and deodorizing. No matter what your need may be, the friendly and experienced technicians at Best Way Carpet and Tile Cleaning can help. Offering a variety of services to deal with any mess or emergency, you can count on your carpet cleaning service in NJ to keep your home or business in fantastic shape. To learn more about our services, we invite you to give us a call at 732-391-6500 and visit us online at www.bestwaycleaning.net. This entry was posted on Wednesday, July 17th, 2013 at 11:42 am and is filed under Carpet Cleaning in NJ.